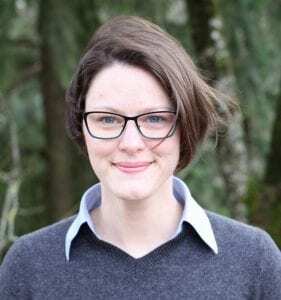 Mollie Marr is an MD/PhD candidate and second year student in the Department of Behavioral Neuroscience at Oregon Health & Science University in the laboratory of Drs. Damien Fair and Alice Graham. Her research examines maternal psychological stress during pregnancy as a potential mechanism for the intergenerational transmission of childhood trauma. She double-majored in Theatre and Psychology with a minor in Applied Theatre, receiving her BFA from Tisch School of the Arts at New York University. She was one of the founding members of her school’s AMWA branch, and co-authored and produced the AMWA film At Home and Over There: American Women Physicians in World War I with Dr. Eliza Chin. Mollie is working to expand the research on gender equity in medicine and is currently developing a tool to analyze letters and evaluations for gender bias (https://github.com/gender-bias/gender-bias). Her theme for the 2019-2020 Student Division is Rise, Rebuild, Redefine. She hopes to create a national research network on gender equity, improve community within and across the divisions, and integrate the student division more fully into the ongoing advocacy efforts.